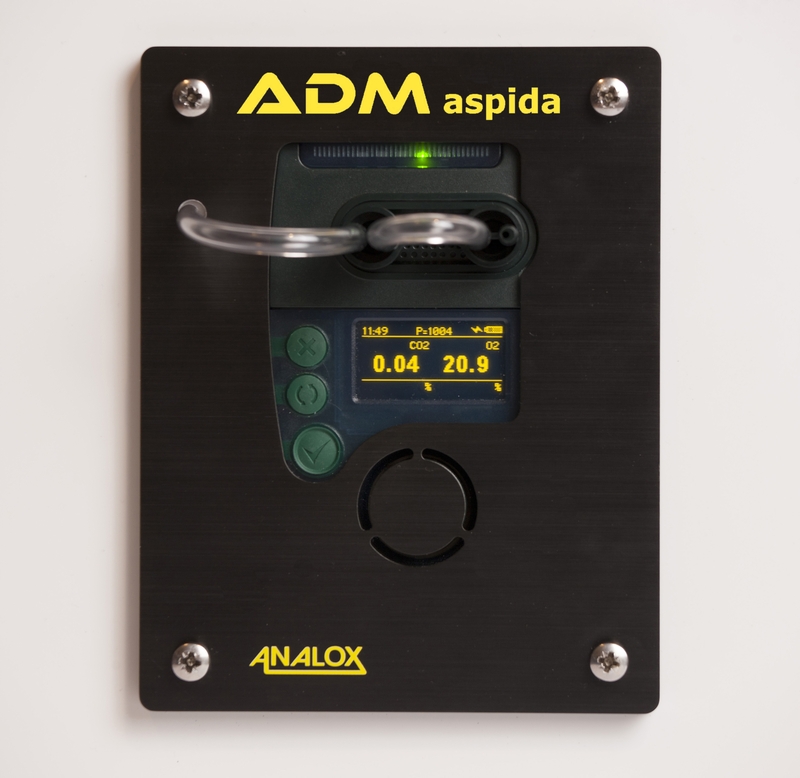 Purpose designed and compact, the portable Analox aspida is able to continuously monitor both carbon dioxide and oxygen. 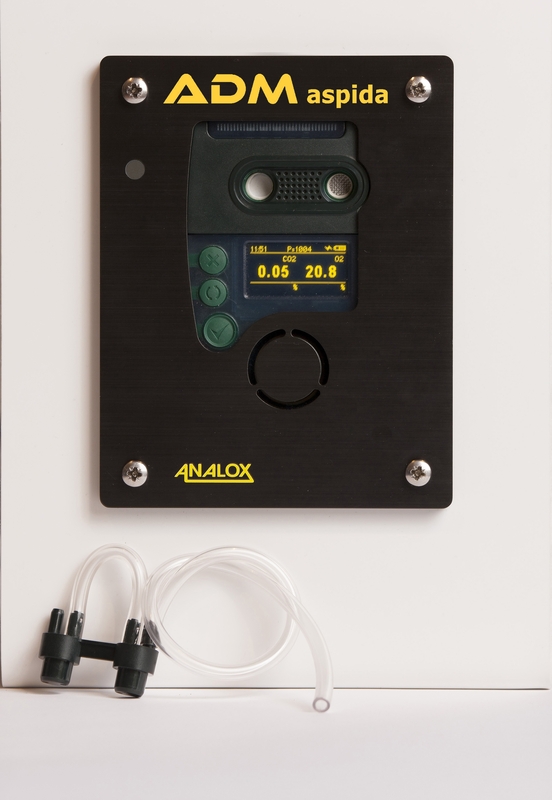 A panel mount monitor, the Analox ADM aspida is IMCA compliant and offers readings for both oxygen (O2) and carbon dioxide (CO2) with single gas variants available should you require them. Built into the robust aspida series housing, the ADM aspida offers users a cost effective means of measuring these two gases within surface supplied diving operations, whilst being easy to install and maintain. Helping to improve diver safety, the ADM aspida provides clear audible and visible warning of potentially dangerous gas levels. Employing a high resolution organic light-emitting diode (OLED) display, it shows clear, live gas levels in all light conditions.